If you have ever had to move before, you know what it’s like to start sorting and packing things only to realize that you have way more stuff than you thought. If you’re like most people, you probably have tons of stuff laying around your house that you don’t even need or use on a regular basis. Moving, and especially moving across the country, is the best time to clean house and purge what you can. Not only will this save you from moving items that don’t need to be moved, but it will save you a lot of money on moving costs. Full-service movers will charge less because the load is lighter. If you’re doing your own move, you’ll need less space in a container, trailer, or moving truck when you downsize your belongings. As soon as you find out that you’re moving, you should immediately make a plan for your stuff. It helps if you can make a list of the rooms in your home. Then, choose one or two rooms a day, and sort through those rooms until you’ve decided what is happening with all of the items from those spaces. If you’re moving in a hurry, don’t think this isn’t an option for you. It can still be done, but you might have to do it all in a few hours or a single day. That’s fine too, as long as you take advantage of purging to reduce how much you’re hauling across the country. If you planned ahead and already have moving boxes on hand, you can save yourself the extra step by packing the “keep” items as you go. There’s no sense in touching them twice, after all. If you’ve chosen to let a moving company do all the work, stick to sorting and leave the packing for them. You are paying for the service, after all. Once you have everything sorted, it will be easier to do this next step. Start with the items that you are keeping. Is there anything that you can (or need to) put in storage? Storage units are handy for cross-country moves because they give you more time to move your stuff. They can also keep your items protected in your new location until your home is ready, or until you arrive. The next step is to go through your pile of items that you are going to sell or donate. If you don’t have time or the desire to deal with selling items individually, you can always consider donating them to a local Canadian charity organization. Some places will resell your items, while others will give the items to those in need. You can just drop everything off at your local thrift store if you want, but there is no guarantee as to what they will do with your items. Consider taking a few extra minutes to find a charity that can use your items, or that will use the profit from selling your stuff to help people in the community. If you’re getting rid of the stuff anyway, it doesn’t hurt to give back a little where you can. Another option for donating items: your very own family and friends. Ask around, post something on social media, or let people know that you have stuff you no longer need. You might be surprised at just how many of them are interested. There are a lot of ways that you can go about selling items you don’t want or need anymore. If, like we mentioned above, you have time to plan ahead and do this early on, it will be much easier and you will have more options. If you are in a hurry, you might be more limited on ways to sell stuff before you leave town. There are resale stores all over the country that sell people’s unwanted stuff for a low price. The best part of this, for you, is that they’ll probably buy a lot of the stuff that you are trying to get rid of. You won’t get top dollar here, but you will be able to sell furniture, electronics and video games, and other items that you aren’t interested in keeping. Post pictures of items to get more responses. People want to see what they’re buying. Instead of waiting for people to request a photo, save yourself the hassle and include it with the listing. Don’t sell to anyone out of the country or otherwise that wants you to send the item first or that is trying to get you to take a check, and so forth. Most people are familiar with online scams but it doesn’t hurt to be extra careful. Be reasonable. Even if you spent $800 on that high-end grill last summer, you shouldn’t expect someone else to pay that much. On average, you should expect to get between ⅓ and ½ of what you paid, depending on the item as well as its condition. 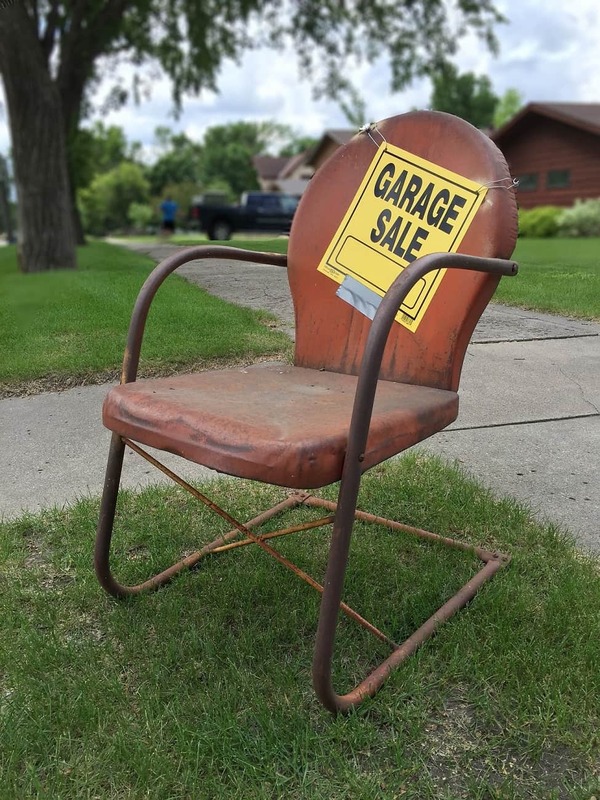 It’s not as common as it used to be, but many Canadians still love their good old-fashioned yard sales and garage sales. If you have a lot of items to get rid of, this is a good option. People who are getting rid of almost everything for their cross country move can definitely benefit from this option. Keep in mind that you won’t get as much for your stuff here, because people are out for a bargain. Now that you’ve taken inventory and come up with a plan for your personal belongings, you can start searching for movers and moving services to help you transport what’s left.